Are you frustrated with trying to build a team? 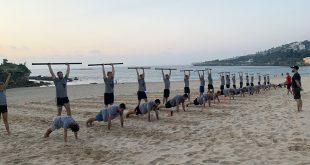 One of the toughest roadblocks for advanced fitness business owners is the massive frustration with trying to build a team. It’s not rocket science to hire some coaches. But building an actual TEAM that cares about the business as much as you do? Well, that’s something much more advanced. 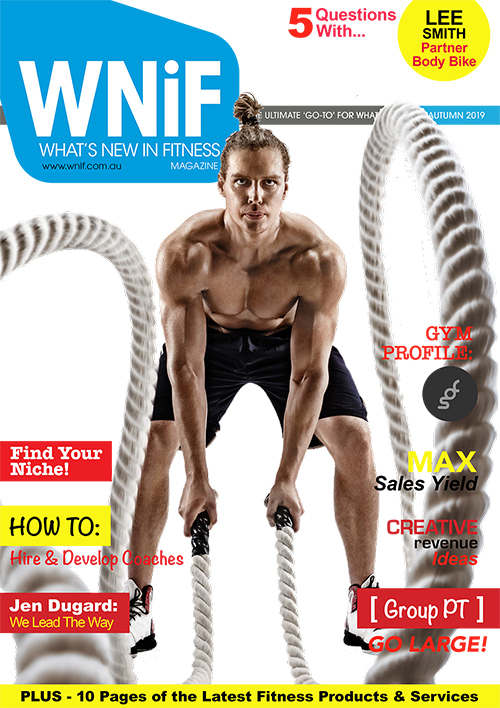 Download your copy of the NPE “How to build a team that cares about your fitness business as much as you do” business guide. 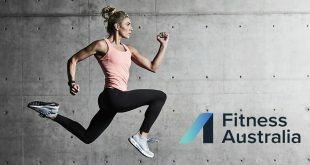 Many fitness business owners feel they’ve tried EVERYTHING in hiring, training, and managing … but good people leave, other times staff members just go through the daily motions (overly focused on their own self-interests), and it feels like nobody is on the same page (with you or with each other)… because they are not! But the truth is getting everyone aligned…building a results-focused culture…developing people into A players…all require you to learn and apply specific, frontline-tested leadership and management processes. If you’ve grown from fitness coach to business owner and not spent significant time in team leadership positions in the past, then you’re going to struggle growing through this phase of fitness business ownership without those skill sets. Build a team that cares about your business as much as you do, and Better serve more clients and make a bigger impact on the world. 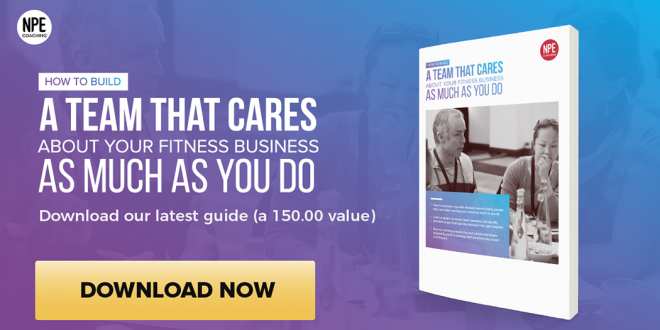 To help you do just that, we’ve got a great new business guide for you from our partner, NPE, on How to Build a Team that Cares about Your Fitness Business as Much as You Do. The guide outlines proven methods and strategies that our top clients have used to move from stressed and overwhelmed business operators to inspired and hopeful business owners. If you’re ready for a path forward, this advanced fitness business building guide gives you an overview of our step-by-step proven process for creating more time and freedom to enjoy your success (and do more of the things you love to do!) while also building a team that has your back. Dive into the guide to learn more. P.S. Don’t stay frustrated with the people on your payroll. 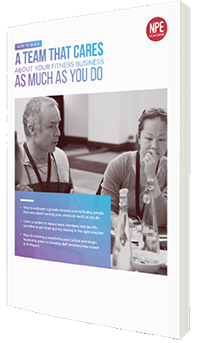 Download this guide and go from a stressed and overwhelmed business operator to an inspired and hopeful business owner with a team! Better serve more clients and make a bigger impact on the world. 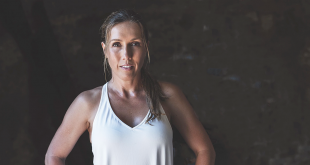 Karry Levine and her team have more than doubled her fitness business across two locations in New Zealand–and now she takes more time off to do the things she loves to do and spends time with her growing family. But not long ago, Karry “was told” by others in her fitness niche that pole studios are a hobby and don’t make money. But with NPE’s coaching, she proved them wrong. She not only built a profitable business, she built a team that allows both studios to run independently and profitably. She’s now out of the day-to-day operations and is preparing to open franchises. Tanja Shaw started out as a personal trainer and worked from dawn until late at night. She joined NPE to see how far she could go in her business, and was coached in hiring and team-building. She soon opened her own fitness studio, and found and developed staff who formed a tight team of seven fitness coaches. Now her staff handles daily operations, while she designs new fitness programs and continues to build the business, including investing in commercial real estate to provide wealth creation for her family. 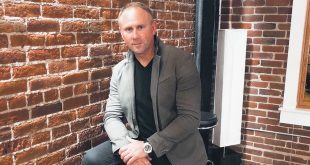 Shannon Dykman wanted to grow his business, including opening an expanded fitness studio, but his schedule was full. 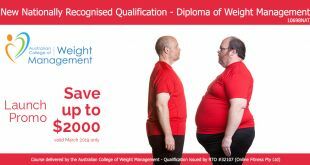 He needed to hire and develop staff to go further in his fitness business. 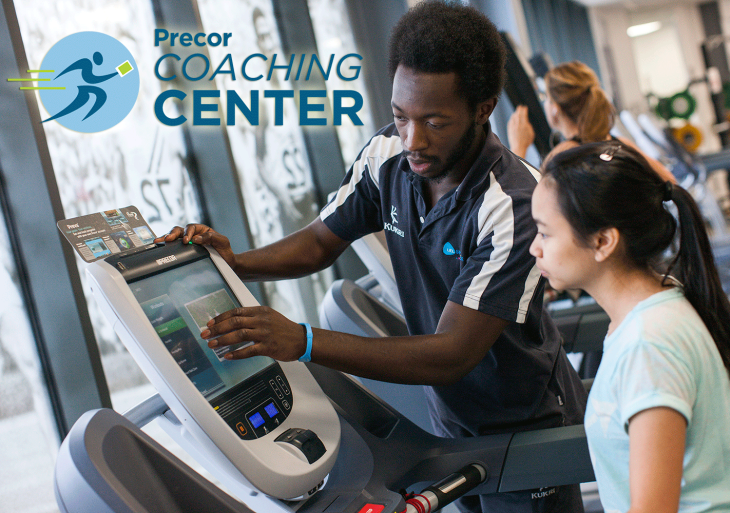 Through NPE, he built a team of seven fitness trainers who have helped him expand his business to a 10,500 square foot facility, 400 active clients, and $100k+ a month.